A science writer and feminist activist (also known as lead singer of pop band YACHT…), it was almost inevitable that Claire L Evans found herself writing a book about women and the internet. 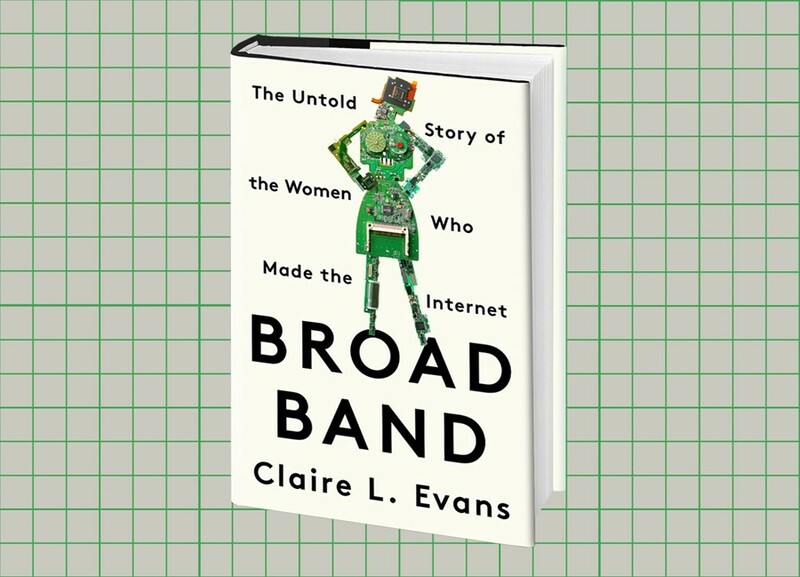 With an ocean-deep knowledge on the importance of internet communities and a determination to protect the memories of key women in internet history, Evans put together Broad Band: The Untold Story of the Women Who Made the Internet. These are women who have been key to the development of technologies that brought us the computer, and later, the internet as we know it: women whose stories have gone largely ignored, and online enclaves that have been all but forgotten. If you liked Hidden Figures, this book will take you beyond NASA, and show you how that story was repeated in every tech industry, in every decade, all over the world. Broad Band seems to have arrived during the perfect political storm. Living amid Facebook’s extraordinary privacy scandal and the aftershocks of #MeToo and Time’s Up, the internet can feel like a very fraught space to exist as a woman. Evans spoke to Dazed about growing up online, what drove women out of tech, and what the future might hold for women on the internet. In Broad Band you talk about people and the internet having a symbiotic relationship – what was your online experience growing up and how has it changed over time? Claire L Evans: There have been so many kinds of “online” along the way, and each phase has had its own flavour. For my temperament, the early blog era was probably the peak; I had friends who built a blog network with a commons in the form of a messageboard, and that’s when I was happiest online, learning to write for a public, having proper conversations, occasionally meeting my Internet friends in real life; “no virtual community is strictly virtual,” to quote Stacy Horn. I think of my life online as a gradient from outward to inward. Like many people, I began by exploring; I largely used the technology to find new people and ideas. As I grew older, I became more content with tending my own little patch of cyberspace, at best making myself available to be found. Now it’s so much more about protection, defense—that constant negotiation between connection and privacy. I used to think: what can I see? Now I think: is it worth looking? That definitely speaks to my experience of the internet now, it’s become much more about protecting yourself within a community of friends. I think we’re more suspicious of strangers online than we used to be. How did you decide that this book was going to be your next project? Claire L Evans: I became a writer because of my relationship to the computer. 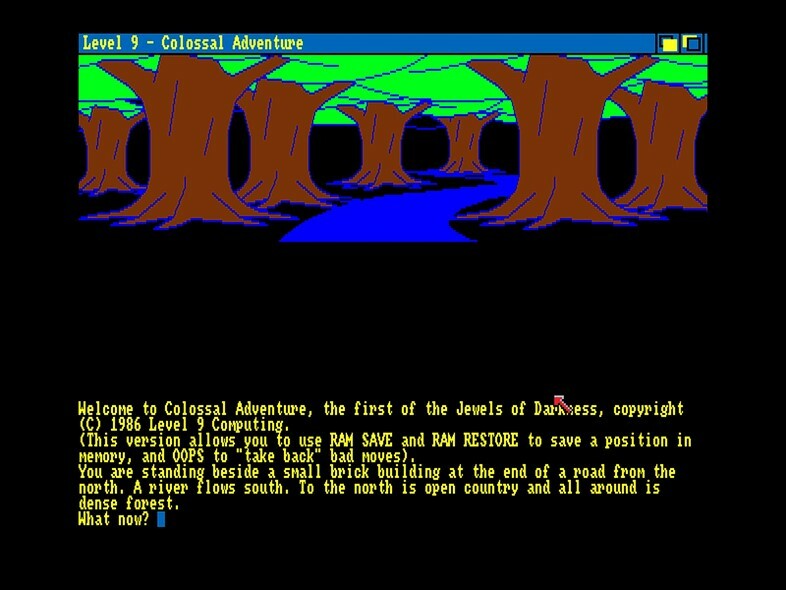 It made text approachable to me: as a kid, to see my own words on a screen made me feel powerful, and I cut my teeth as a journalist in the golden age of blogging, when me and all my friends wrote volumes and volumes, for free, for fun, for the pleasure of it. I think I always knew that if I wrote a book it would be about the internet in some way. 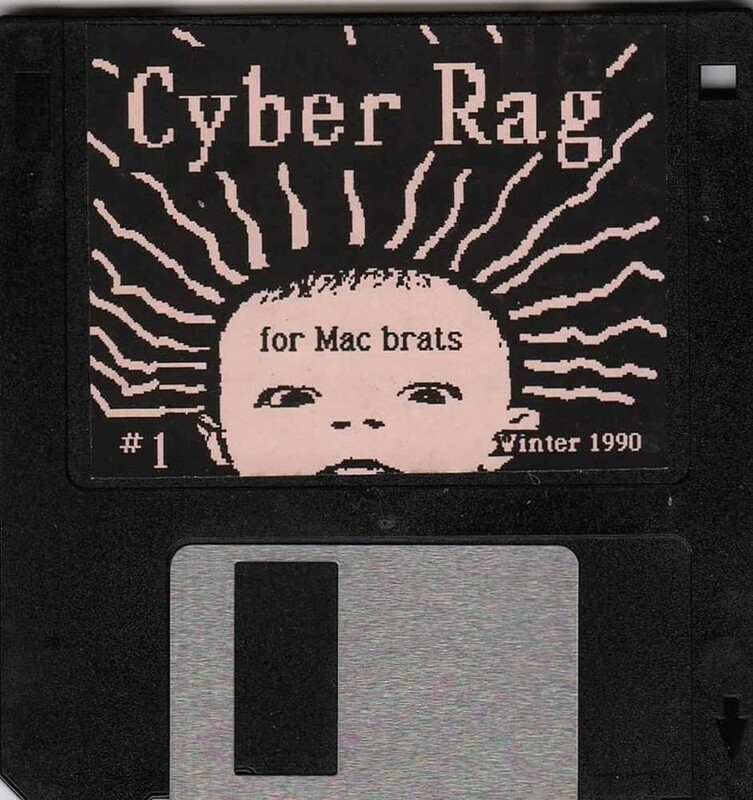 Broad Band itself emerged from a series of articles I wrote for Motherboard a few years ago about female computer histories – Theresa Duncan’s CD-ROM games, for one, and cyberfeminism, this concentrated wave of feminist art that broke in the years immediately following the popularisation of the World Wide Web. I became fascinated by cyberfeminism because although it had coincided with my own early years on the Web, I’d completely missed it – I was too young, I wasn’t looking in the right places. But it twigged something: if there had been this colourful, super-interesting feminist movement online in the 90s that it took me decades to discover, and only then as a footnote in some Wikipedia deep-dive, then what else had I missed? As a cultural object, the internet has a tendency to be erased and rewritten, erased and rewritten, even as it expands; if we don’t hold on fearsomely to the things that matter to us, we will lose even their memories. I wanted to do a book because I wanted us to remember before we forgot. Absolutely. Polyvore closed down recently without warning and made me think of how inpermanent our online spaces really are. You can’t trust that you can return to those memories or friends you made years ago. You met up with a lot of the women you wrote about, what was that like? Claire L Evans: It takes a lot to invite a stranger into your home, let alone one taking notes. It was a privilege to be allowed a glimpse into these women's lives. I only wish I could have met them all in the flesh. I’m able to meet more of them now; it’s been important to me to invite as many of the book’s real-life characters as possible to participate in Broad Band events. I’m still learning from them. I was interested by this idea you raised that women were the only people who could have done a lot of the work they did because women are better at multitasking, used to having to prove ourselves. How much do you think this is still true? Do you think ‘side hustle’ culture feeds this? Claire L Evans: I hesitate to say that women are ‘better’ at anything in particular; the women I profile in Broad Band accomplished what they did within the spaces that were open to them, which were often administrative, user-oriented, humanist, or not yet perceived as being technical, as with programming, which was seen as a secretarial-type position in its early days. Had they been given more access, who knows what they could have done? This is people doing the best they could under the circumstances, often elevating a constrained position to an advantage: Jake Feinler, for example, who ran the early internet’s central information office, the NIC. She was so overwhelmed by the day-to-day logistics of her job, which was largely seen as administrative despite being so much more, that she pushed for protocols we still use today, like WHOIS and the separation of the network into “domains” individuated by extensions like .gov, .edu, and .com. I feel like a lot of the issues these women faced are so universal, but maybe exemplified because of the industry they were in. You talked about pay gap in the tech industry, as well as other overt barriers like required qualifications and the literal distance of women’s facilities – something that came up in the film Hidden Figures. What steps do you think tech industries need to take to welcome women now? Claire L Evans: It’s important for women in tech – and women who use technology – to understand that computing is our domain. During the second World War, women hired to ‘operate’ computing machines were the first programmers, and after the War, women led the development of what was then called ‘automatic programming’, the notion that programmers should be able to step above the machine level, with the help of mechanisms like interpreters, assemblers, compilers, and generators, to code at a higher level of abstraction. 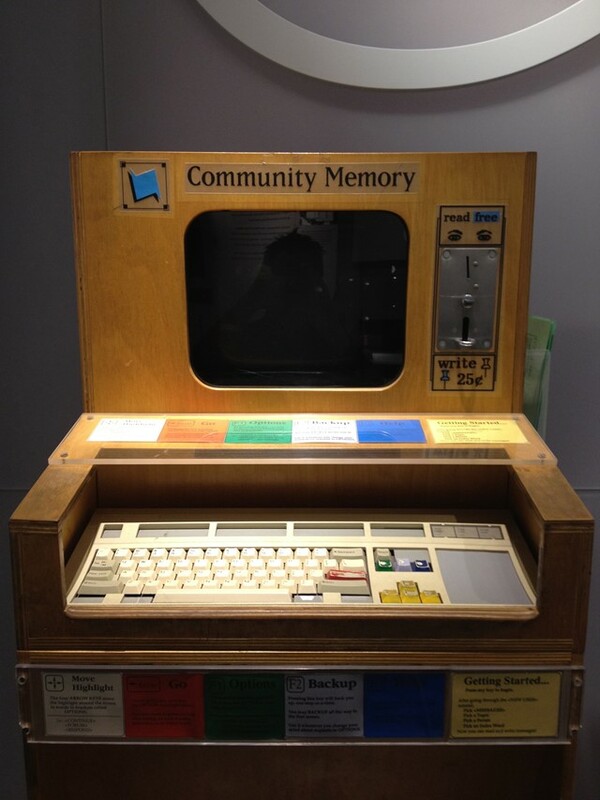 This led to nothing less than the development of programming languages. In the 60s women were half the workforce in the computing industry, and women earned 40 per cent of computer-science degrees at American universities until about 1984. What edged women out of the picture was wage disparity, lack of mentorship as the first generation of female programmers aged out of the workplace, a structural unwillingness to make space for childcare, and a shift in the professional credentials and educational requirements necessary to get a job as a programmer. Several historians, like Nathan Ensmenger and Janet Abbate, have suggested that the professionalisation of the field led to its implicit masculinisation – that it had to be masculinised. This seems to have set a male-dominant precedent that has only reinforced itself over the years, through marketing as much as anything else, as being somehow natural to computing. It’s not. It took a few generations to create these conditions, and it may take a few to fully undo them, but we can start by addressing the basics: equal pay, mentorship, equal access to resources, and as much representation as is humanly possible. Thinking of women as internet users – how welcoming a space do you think the internet is for women now? A lot of these women in history were working to make online spaces more accessible, even making concerted efforts to bring in women specifically, like Women’s Wire. Do you think their efforts have succeeded in making the internet a more women-friendly place in the long run? Claire L Evans: No, but I think their efforts made the Internet a more woman-friendly place at the time. When the entire networked world was only about 10 per cent female, Stacy Horn’s online service, Echo, had near-complete parity. It’s because she was the only person trying. Because of that effort, a number of women were able to experience the internet for the first time. Same with Women’s Wire, an early commercial online service targeted to women. They got a few good years. I wrote a fan letter to Hakim Bey and asked him whether he thought utopia was possible, and he responded that ‘everything you once imagined is true. But at a cost. One way to lower that cost is to face the fact that utopia will be temporary, and to plan for that. Two years is a very long run. And one night of realisation is better than a hundred years of dull servitude to the technopathocracy.’ I think about it all the time, especially when I’m browsing. I don’t think the internet is a woman-friendly place. Is it even a people-friendly place? How did you curate the stories you wanted to tell? Claire L Evans: I’ll admit Broad Band began as an encyclopedia: I obsessively tracked every woman I could find. I felt a burden of responsibility to make sure everyone who had been omitted elsewhere was included here. But for a book to do its job, it has to be a readable narrative, so I narrowed my lists down to those people whose stories I felt to be most representative of the themes at play, of the larger history I wanted to track. There are female hypertext pioneers other than Dame Wendy Hall and Cathy Marshall, for example, and I interviewed many of them – Judy Malloy, Karen Catlin, Nicole Yankelovich – but I hope what I chose to include can serve as a signpost for people. This way for more. And there’s plenty more. I’ll admit that when I started reading this book, Ada Lovelace and Katherine Johnson were probably the only women whose names I recognised. I’ve learnt an incredible amount about the ways that women were involved every single step of our journey toward integrating computers into our everyday lives. If there’s one particular story in this book that you hope people take away and remember, whose is it? Claire L Evans: Oh, I think different people will gravitate to different stories. I’ve already heard such a wide range of feedback from readers about the characters they identify with most. I wanted women to see themselves in these stories – and not just technical women, but artists, community-builders, spatial thinkers, entrepreneurs, idealists, and punks. The cultural work is just as important to me as the infrastructural and programmatic work. It’s when we isolate those things from each other that we get into trouble. I’m sure you’ve been following the Cambridge Analytica scandal. Knowing how social networks got started, how do you feel about the way we use them today? Do you think we even should be worried about the way our data is being used? Are we using the internet for community or as consumers? Claire L Evans: I think the utopian idealism of the first generation online – the late John Perry Barlow wrote of a ‘civilisation of the mind in cyberspace’, bless his heart—influenced a popular conception of the internet as a community technology, and our beleaguered social media platforms have grafted themselves onto this assumption, blinding us to their true natures as consumption engines, which hybridise community and commerce by selling communities to advertisers (to say nothing of regimes). But a social network is not a community. In a real community – virtual or otherwise – people have a stake in their own environment. They contribute. They constantly negotiate to determine how things will be, what the rules are. There is a sense of public life, of collective identity through language and the specific social conventions that develop over time in any group. All the early virtual communities struggled with self-governance, but that’s part of placemaking. It’s what makes it real.